Mumbai, Oct 9 (IANS) Key Indian equity indices on Monday provisionally closed on a flat note with marginal gains on the back of healthy buying in consumer durables, banking and FMCG stocks. According to market observers, investors remained cautious ahead of the earnings season for the July-September period. 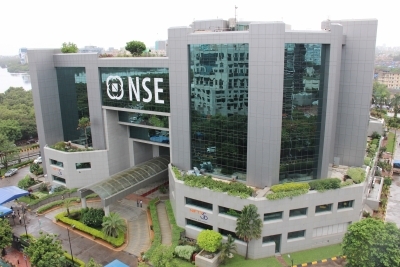 The wider Nifty50 of the National Stock Exchange (NSE) provisionally closed (at 3.30 p.m.) at 9,988.75 points — up 9.05 points or 0.09 per cent. The 30-scrip Sensitive Index (Sensex) of the BSE, which opened at 31,862.20 points, closed at 31,846.89 points — up 32.67 points, or 0.10 per cent, from Friday’s close at 31,814.22 points. 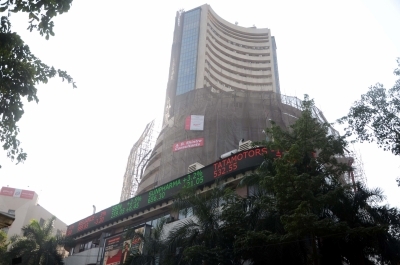 The Sensex touched a high of 31,935.63 points and a low of 31,781.75 points during intra-day trade. The BSE market breadth was bullish — 1,537 advances and 1,171 declines. On Friday, the benchmark indices edged higher to close with substantial gains as positive global cues and healthy buying in metals and oil and gas stocks lifted sentiments. The Nifty50 rose by 91 points, or 0.92 per cent, to close at 9,979.70 points, while the Sensex closed at 31,814.22 points — up 222.19 points, or 0.70 per cent.